This is a dedicated private space exclusively only for you. It is the best option for family or group stay. It offers unmatched privacy, flexibility and peaceful experience without annoyance of other guests.The entire space will be privately owned by you and your family or friends during the stay including all amenities and services being offered. You can also look for your specific requirements instead of having to put up with whatever facilities are otherwise being offered. All this you can never get at a cheaper price. Exclusively designed, best negotiated pricing for family or group stay. 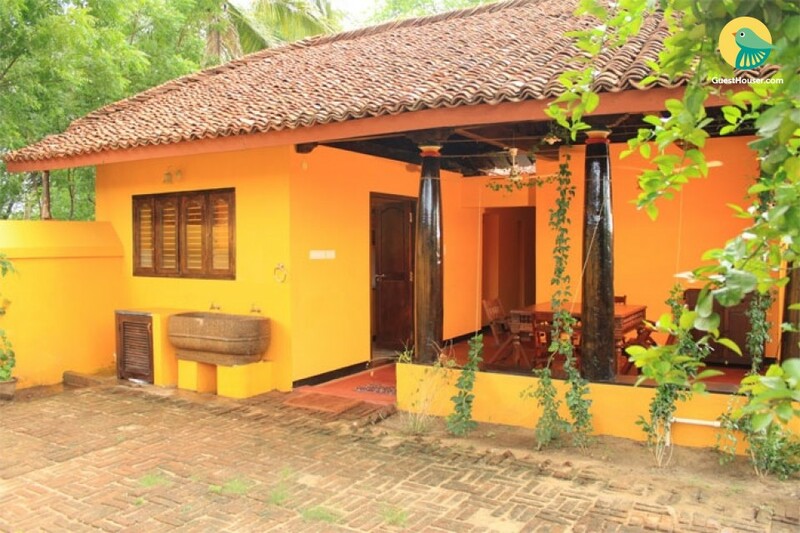 This home is a simple, traditional home in the small town of Tirupugalur, situated on the outskirts of Nagapattinam District, rich in agricultural beauty, green waves of grain, tamarind-lined roads and cool, dark temple tanks. This property has had the benefit of impeccable design inputs from cultural heavyweight and and architect. The bedrooms are well equipped, inviting and meet the high expectations of the discerning traveler. The rooms painted in the fearless, yet serene colours of the countryside. The floors are of red oxide, stone and terracotta tiles. The bathrooms have hand-beaten brass wash bins crafted in Pune and locally sourced brass taps and pipes and is equipped with all the modern amenities. 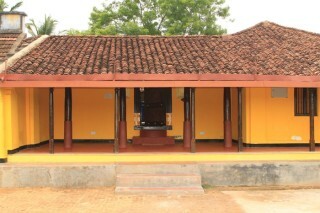 The courtyards are painted in the colors of the sun and the sky and are embellished with glossy, tapered wooden pillars. The common dining area is situated to one side of the larger courtyard. Home style, vegetarian food is traditionally served on the banana leaf. The room tariff is as under: April / September - Off Season October / March - Peak Season For additional bed Rs.500/- will be charged extra Lunch & Dinner : each Rs.400/- per pax. Please note that all meals are vegetarian only. Place To Visit: Sri Agneeshwarar Temple The home overlooks the vast tank of the famous “Agneeswara Temple in Thirupugalur. The God is known as Agneeswarar or Konapiran and Goddess is known as Karundhaz Kuzali. Nagore (13 kms) A prominent 5-acre dargah (Muslim shrine) dedicated to the 16th-century saint Nagore Andavar (literally "the Lord (aandavar) of Nagore"; also popularly called Meeran Sahib or Qadir Wali) is located there, and serves as a pilgrim center. Velankanni (30 kms) Velankanni is located 12 km south of Nagapattinam on the Coromandel Coast, in Tamil Nadu. The shrine here is dedicated to Our Lady of Health, the Madonna of Velankanni and is popularly known as 'Sacred Arogya Matha Church'. Tiruvarur (18 kms) The Thyagarajaswami temple at Tiruvarur is one of the ancient heritage sites of India and is a representation of the religio-socio-cultural history of the Tamil region for a period spanning over a millennium and a half. Thiruvarur Junction is just 21 km away. Tiruchirapalli International Airport is just 147 km away.